I used to think that making viruses had something to do with programming skills. I thought writing a program that could copy itself, spread itself, hide in other programs or files, find its way around on all these different computers, that surely had to be the summum of programming. Maybe this once was true. Back in the old days, when viruses ware written in assembler, were small enough to hide in the boot sector of a floppy disk, were able to attach themselves to a file without anyone noticing (and files were quite small those days), had stealth capability, and could influence your hardware directly, bypassing the operating system. So maybe, maybe in those days, creating viruses could be seen as an achievement, or as a sport. Now, any fool can do it. And judging by the number of viruses, a lot of them do. 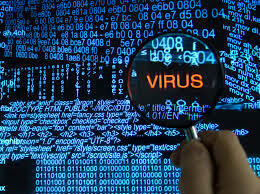 search the web for something like "Virus Construction Tool" or "Internet Worm Generator". Download it. run the program (click on its icon). fill in the form. Choose interesting names. click "create virus" or "generate"
run it to see if it works. This should create a visual basic script that will run on Windows computers and try to use the same Outlook application files to mass-mail itself. Much like the 'I love you' virus or the 'Ana Kournikova' worm.